Ford Island consists of 335 acres of land situated in the East Lock of Pearl Harbor. In early Hawaii, natives referred to it as Mokuumeume, meaning Island of Strife. Obtained in 1866 by Honolulu physician Doctor Seth Porter Ford, upon his death it was sold to John Ii who developed it into a thriving sugar cane plantation. In 1873, a military commission comprised of the Army’s Major General John M. Schofield and Lieutenant Colonel Burton S. Alexander made a survey of the island of Oahu for defensive possibilities. Their report to Secretary of War Belknap recommended the United States obtain cession of Pearl Harbor, together with its shore for four or five miles back, deeded free of cost to the U.S. in return for allowing Hawaiian sugar to enter the mainland duty free. Captain John Curry came to Hawaii on February 13, 1914 to command the 6th Aero Squadron. He soon learned that he would receive Curtiss N-9 seaplanes, single engine biplanes which carried a two-man crew, that could attain a top speed of 70 miles per hour with engines rated at 100 horsepower. The N-9 weighed 2,400 pounds. In preparation for World War I, the Navy selected Ford Island as a site for land-based guns to defend the harbor. In 1916, the War Department acquired two small parcels of land from the Ii Estate. These sites were used as casements for two batteries of six-inch rifled guns. Each battery consisted of two guns. These sites were located on the southwest and northeast corners of the island. Named Battery Boyd and Battery Henry Adair, the sites were completed in mid-1917 and were the first presence of military on Ford Island. The batteries were used by the U.S. Army until 1925 by which time they were deactivated and the guns removed. 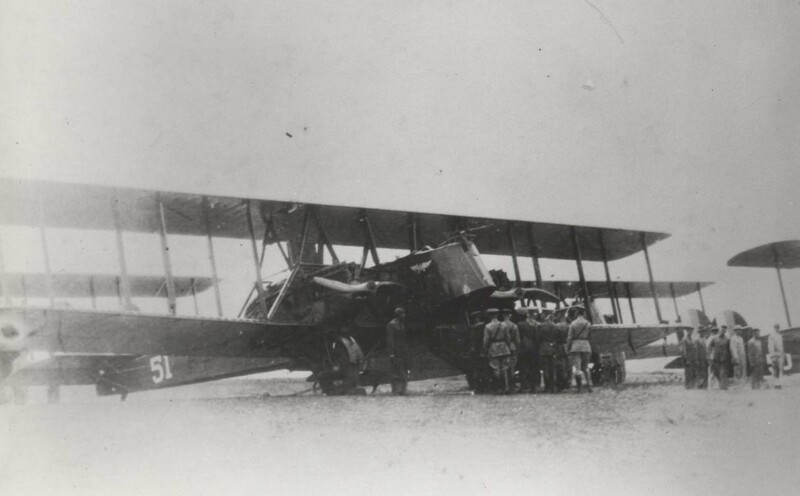 Later that month, 50 men from Rockwell Field, California, were transferred to the 6th Aero Squadron. One enlisted man deserted but Captain John B. Brooks arrived with the remaining retinue aboard the SHERIDAN on March 18. That day Captain Curry enacted his organization and assumed control and command of the 6th. However, there was no action on Ford Island’s purchase. When Curry returned to the mainland for reassignment (August 1917), he followed up on his recommendation and managed to obtain final approval for Ford Island’s purchase. 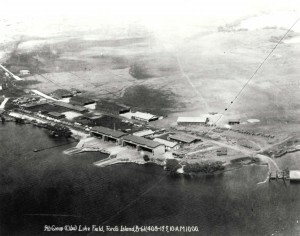 The Oahu Sugar Company surrendered its leasehold to Ford Island in late 1917 to complete the sale. It was understood by the War Department that both the Navy and the Army would use Ford Island. 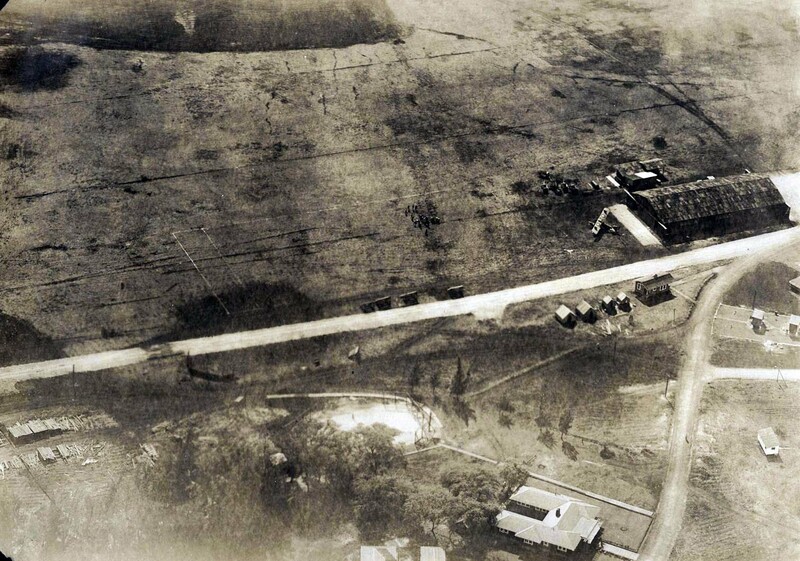 On September 25, 1917 the 6th Aero Squadron abandoned Fort Kamehameha and moved to the new site, under Brooks’ command. They began clearing the land to establish the first Army Air Service Station in Hawaii. The station was officially renamed Luke Field in 1919 after World War I fighter pilot Frank Luke who was killed in action over the Western Front. Luke Field developed into a sizeable base. Pursuit planes and bombers made up the 6th Aero’s flight inventory. By 1935, there were 66 Keystone bombers stationed at Luke Field assigned to the 5th Composite Group squadrons. 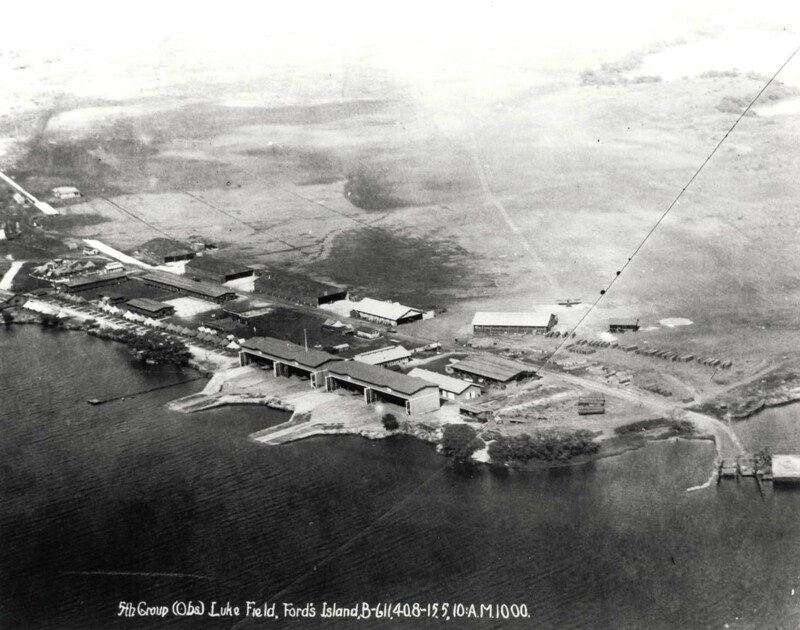 By the end of 1935 there were so many planes stationed at Luke Field that the military negotiated a deal where the Navy would get Ford Island, and the Army would construct a new air base across the harbor at what would become Hickam Field. 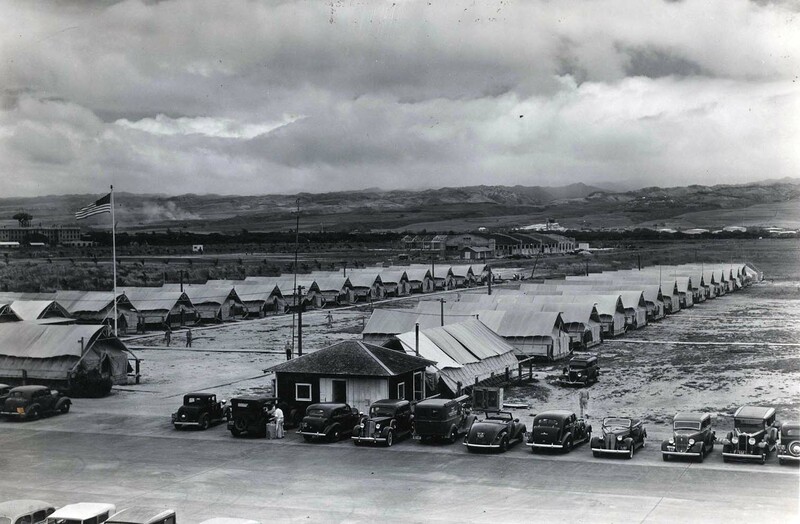 By the end of 1940 the move of Army personnel from Luke Field to Hickam Field was complete. On December 7, 1941, 33 of the 70 aircraft on the ground at Ford Island were destroyed by the Japanese attack. Despite this the air base remained operational throughout the attack. Ford Island was very busy during World War II. A squadron of PBY flying boats was stationed there, as were numerous other Navy aircraft. The runway grew until it covered the entire center of the island. Hangars and auxiliary buildings filled almost all available space. In 1962, the Navy officially deactivated Ford Island as an air base. On February 2, 1970 a 4,500 foot runway at Ford Island was opened to civilian pilots for flight training operations. The Navy extended its permit to the state for the use of the air strip for civilian flight operations through calendar year 1972, and acceded to the request that students be allowed to make their first solo flights from the airfield. Operations were no longer restricted to touch-and-go landings and taxi-back practice. The student landing and take-off area was leased from the Navy and staffed by contractual communications personnel. The one millionth airport operation since the State started leasing Ford Island in 1970 occurred in 1977. The Ford Island operation continued to grow modestly but steadily and served to relieve a major congestion problem of general aviation training activity at HNL. On July 1, 1999 general aviation activity ceased at Ford Island when the State of Hawaii acquired 757 acres of surplus land at Barbers Point Naval Air Station as Kalaeloa Airport to be used for general aviation purposes. Ford Island Air Traffic Statistics Ford Island was leased by the State from 1970 to 1999 for use by general aviation, student pilots and flight schools. It was closed when the State acquired Kalaeloa Airport.